The work of English modernists in the 1920s and 1930s – particularly D.H. Lawrence, John Cowper Powys, Mary Butts and Virginia Woolf – often expresses a fundamental ambivalence towards the social, cultural and technological developments of the period. These writers collectively embody the tensions and contradictions which infiltrate English modernism as the interwar period progresses, combining a profound sense of attachment to rural place and traditions with a similarly strong attraction to metropolitan modernity – the latter being associated with transience, possibility, literary innovation, cosmopolitanism, and new developments in technology and transportation. In this book, Sam Wiseman analyses key texts by these four authors, charting their respective attempts to forge new identities, perspectives and literary approaches that reconcile tradition and modernity, belonging and exploration, the rural and the metropolitan. 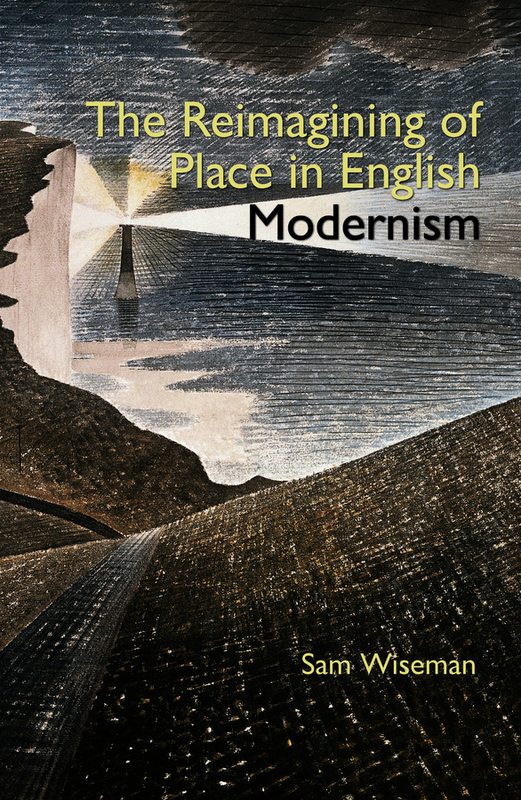 This analysis is located within the context of ongoing critical debates regarding the relationship of English modernism with place, cosmopolitanism, and rural tradition; Wiseman augments this discourse by highlighting stylistic and thematic connections between the authors in question, and argues that these links collectively illustrate a distinctive, place-oriented strand of interwar modernism. Ecocritical and phenomenological perspectives are deployed to reveal similarities in their sense of human interrelationship with place, and a shared interest in particular themes and imagery; these include archaeological excavation, aerial perspectives upon place, and animism. Such concerns stem from specific technological and socio-cultural developments of the era. The differing engagements of these four authors with such changes collectively indicate a distinctive set of literary strategies, which aim to reconcile the tensions and contradictions inherent in their relationships with place. Author's previous books: Assembling Identities (editor), Cambridge Scholars Press, 2014. Competitive titles: Alexandra Harris, Romantic Moderns: English Writers, Artists and the Imagination from Virginia Woolf to John Piper (London: Thames & Hudson, 2010; £19.99). This book emphasizes the relationship between Woolf’s late writing (particularly Between the Acts) and her renewed relationship with English customs and tradition in this period. It devotes much of its analysis to visual art of the period, unlike my book. Jed Esty, A Shrinking Island: Modernism and National Culture in England (Princeton: Princeton UP, 2009; £22.99). This book posits the idea of a 1930s nativist movement and includes Powys, Woolf and Butts in its analysis. My book differs (among other ways) by incorporating D.H. Lawrence into its thesis, emphasizing these authors’ writings upon realms beyond human culture, and arguing that there is more continuity across the interwar period in terms of both modernist form and content. Andrew Radford, Mapping the Wessex Novel: Landscape, History and the Parochial in English Literature, 1870-1940 (London: Continuum, 2010; £60.00). Radford’s study discusses two writers also covered in mine, Powys and Butts, and also explores themes of exile and return. My book differs (among other ways) in its focus upon modernism and greater emphasis on metropolitan experience. Jessica Berman, Modernist Fiction, Cosmopolitanism and the Politics of Community (Cambridge: Cambridge UP, 2001; £39.99). Berman also takes a four-author approach, and one of her authors is Woolf; her ideas on cosmopolitanism are drawn upon in my book. However, there is less discussion of place here, and Berman’s use of ‘community’ tends to emphasize the human community; my book seeks to expand this to incorporate other beings. Rebecca Walkowitz, Cosmopolitan Style: Modernism Beyond the Nation (New York: Columbia UP, 2012; £18.00). Walkowitz’s ideas on cosmopolitanism are drawn upon in my text, but her approach ranges across the twentieth century, rather than focusing upon a specific period and movement as I do; moreover, she again emphasizes human cosmopolitanism, whereas I seek to expand our understanding of this term to incorporate other beings. All of the five books listed are excellent titles which I draw upon in my book. However, while four of them also focus upon modernism, the particular commonalities that I trace between the four authors in my text outline a specific focus that is not present in any of these books. That emphasis is on the way that a consciousness torn between tradition and modernity, rural and metropolitan, is one specific aspect of interwar modernism; this aspect can be seen to generate new ways of thinking about relationships with place, ways influenced by transience and cosmopolitanism. My book will therefore appeal to readers specifically interested in these ideas, as well as appealing to those interested in the particular writers that I focus upon. Moreover, my emphasis on place is stronger than in the other texts here (excepting Radford’s). My book’s specific focus on certain regions (particularly Dorset) will be of interest to readers particularly interested in such areas, or in the literature of rural England in general. Sam Wiseman is a postdoctoral fellow at the University of Erfurt and will be teaching at the university upon completion of this project. He has recently presented academic papers on M.R. James and Edith Nesbit, and is working on an article that will examine the role of tidal causeways in texts by Angela Carter, Susan Hill and Andrew Michael Hurley.